PlayCreation designs, installs, and maintains commercial playground equipment exclusively for the Northwest. Through "play" we promote healthy lifestyles, encourage social and physical development, all while creating unique outdoor experiences. 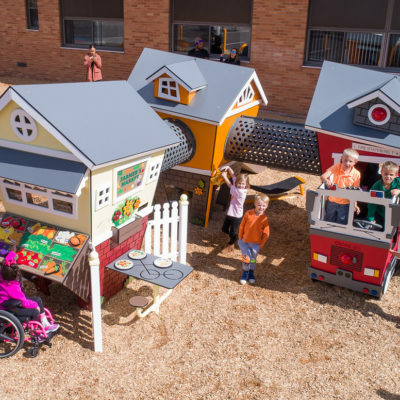 Schools, Parks, Housing communities, or wherever your desired playspace is located. PlayCreation works directly with you through each step. From planning and designing, through installation and any maintenance or retro-fit needs down the road. Born locally in Washington, Iron Age's artfully designed metal castings are used to enhance a wide range of outdoor spaces, elevating drainage from functional necessity to decorative focal point. 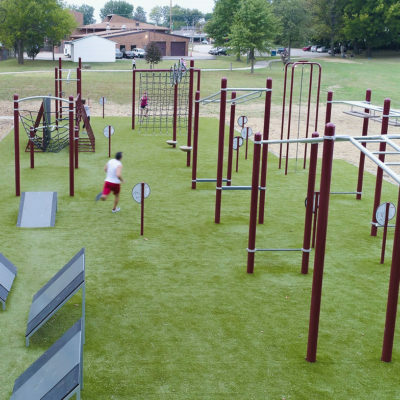 Perfect for parks, trails or next to your playground, PlayCreation offers outdoor exercise equipment through its HealthBeat® and FitCore™ lines, provide a tailored workout for teens and adults of all fitness levels. Playgrounds are a platform for imagination, socialization, and creativity. They Provide opportunities for kids to challenge themselves physically and encourage them to learn about themselves as well as the people around them. Playgrounds and play experiences help shape a child’s future and who they will become. It is our goal to enhance children’s lives by creating inspiring and safe play experiences. Dreams start on the playground. That is why, for a better tomorrow, we play today. Play shapes kids into better adults. Through play, kids learn about themselves. They learn how to interact with others. They develop physically and emotionally and establish behaviors that they will carry for the rest of their lives. Play is one of the most organic ways kids learn, and we have the opportunity to be part of that. For a better tomorrow, we play today. Many climbing opportunities for many kids! The inviting Crab Trap™ uses a variety of materials to add visual interest and create different climbing experiences, inside or out.